Drooly is a clown at Ding-A-Ling Bros. Circus. He drools a lot. 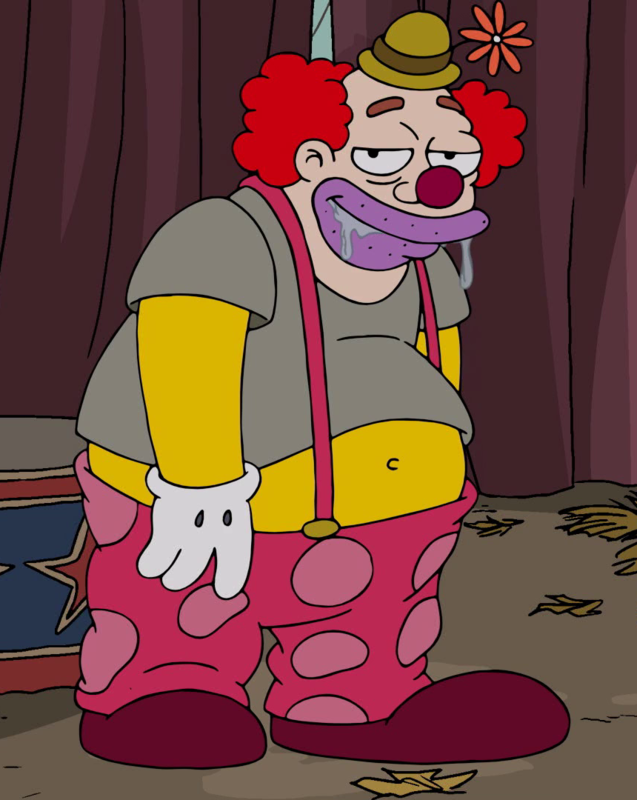 Drooly was one of the many clowns that Scuzzo introduced to Krusty. He was seen around the circus a lot, performing in shows and helping out. Drooly eventually left Springfield by train with the rest of the circus. Episode – "Krusty the Clown"
Modified on November 26, 2018, at 15:00.